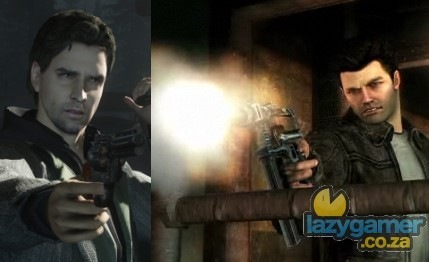 I found Alan Wake – Heâ€™s in Wolfenstein? I think I may have stumbled across why Alan Wake is being perpetually delayed, it’s because the main protagonist is busy finishing off his work in the upcoming Nazi/Occult shooter Wolfenstein. Now it’s not an exact match but if you imagine Alan not being able to shave for a day and frowning then I think you’ll see the similarity here. Hopefully he can finish up his Wolfenstein gig in the near future and get back to working on Alan Wake. Are there any other characters who you have suspected of working on multiple projects?